ANNISTON, Ala. — Blastcrete Equipment Company, manufacturer of concrete mixers, pumps and related products, offers the Model RD6536 Skid Steer Pump Attachment. Featuring a universal design compatible with any skid steer, the 3-inch hydraulic squeeze pump is ideal for ICF, block fill, form and pour, driveways, basements and various shotcrete applications. For 60 years, Blastcrete Equipment Company has been manufacturing safe and user-friendly solutions for the shotcrete industry. 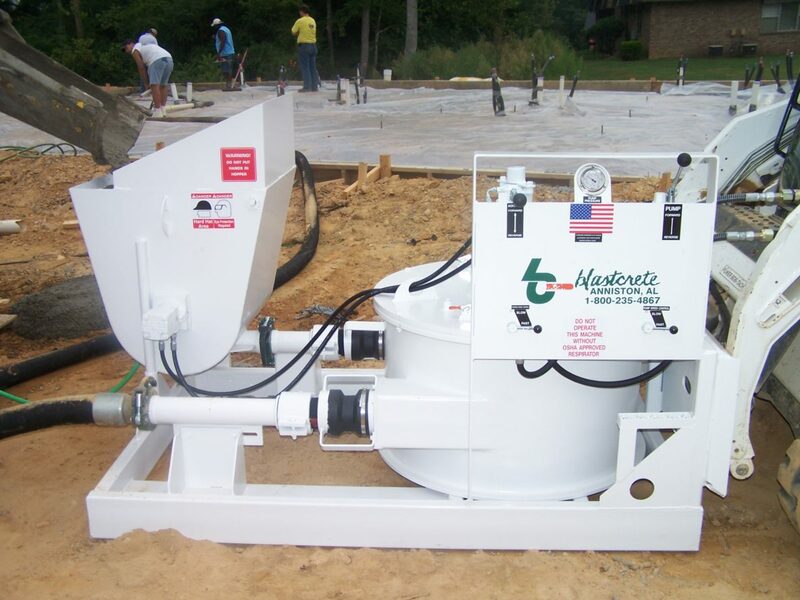 With a complete product line consisting of concrete mixers, pumps and related products, Blastcrete Equipment Company is poised to meet the needs of the commercial and residential construction, ICF and SCIP building systems, refractory and underground markets. For more information, contact Blastcrete Equipment Company, 2000 Cobb Ave, Anniston, AL 36202, call 800-235-4867, fax 256-236-9824, e-mail info@blastcrete.com, or visit the Web site at www.blastcrete.com.